Whoever cared for social rights and for the future of democracy, apart from the interests of workers, was against the birth of the European Union. The Union signed in 1992 by the neoliberalist Maastricht Treaty was a pact that saw great capitalists from the different countries join forces in a common cause to restore their absolute control, in the aftermath of the imperialistic euphoria caused by the collapse of the real-socialisms. Despite evident structural flaws in the Maastricht system from the beginning, the dominant lobbies went on and created the common currency in 1999. Behind the backs of the people, the Parties (both left wing and right) and the Parliaments became business committees of the banking and financial lobbies, thus depriving the States of their traditional right to coin money. Not only did the States surrender their monetary sovereignty, but also a large part of their political and institutional powers. And they did not surrender them - as promised - to a supranational and federal body elected by the citizens, but to an oligarchy of technocrats devoid of any democratic legitimacy. The dream of a Europe of the Peoples became a reformatory nightmare. 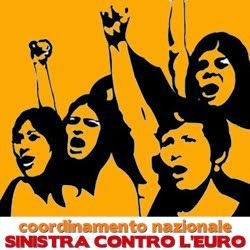 This was the actual proof of the hidden scheme of the dominant class: a union in which the sovereignty would not belong to the people, but to the bankocratic and globalitarian financial gangs, whose "europeism" was just smoke and mirrors, intended to deceive the citizens in order to get their consensus. 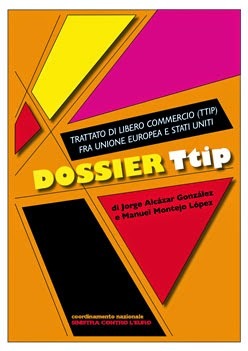 The Euro and the Single Market, instead of improving the welfare of the workers, have worsened them: instead of reducing social inequalities, they have deepened them; instead of mitigating the differences among the countries, they have increased them, and instead of helping poorer countries, they have wrecked them. The financial crisis that exploded in the USA in 2008 soon turned into the crisis of the casino-capitalism system, and it has shattered the euro(peist) building. All empirical evidence has demonstrated the fallacy of the neoliberalist dogmas and the unsustainability of the single currency. Nevertheless, to avoid the collapse of both, the techno-oligarchies have imposed criminal policies of social slaughter, privatizations, welfare cuts (Stability and Growth Pact, European Stability Mechanism and Fiscal Compact) instead of loosening their monetarist grip. The fiasco of this strategy is blatantly obvious. For the countries that feel the Euro as a straightjacket, to get rid of it is necessary and inescapable. The dominant forces will try to block in all possible ways the recovery, by peoples and nations, of their political and monetary sovereignty. This fight for popular self-government is democratic by its nature, but can always be steered towards laissez-faire capitalism and/or authoritarian outcomes by different reactionary and nationalist powers. These powers must be stopped. That's why the democratic and revolutionary movements of the different countries must join forces and show that there is an alternative, and this alternative comes from the movements and from the ability to rebel against this modern eurocratic dictatorship. The history of Europe is once again at a crucial turning point. The main reason for having the European Forum "Beyond the Euro: there is an alternative" is to compare different ideas and experiences; to make the first steps towards an alliance that can build a common platform of the democratic forces that fight for Social Justice, Brotherhood and the freedom of the People.